Trade stand applications for our 2019 Show are now available. Downloadable copies of Trade, British Farm Produce, Agricultural and Shopping stand application forms can be found below. We would like to ask that all trade exhibitors use the entrance off Normanton Lane and not Swepstone Road when entering the Show Ground. Please follow the Ashby Show signs. We would like to ask all trade exhibitors be set up by 8.00am to avoid delays and vehicle movement on the showground. 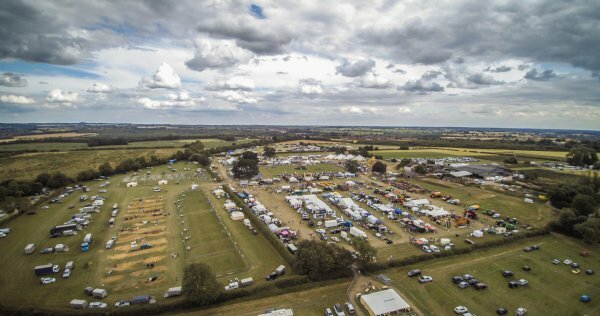 Ashby Show is an ideal country setting for a wide variety of businesses to meet potential customers or clients, not only from local area but from across the Midlands. As a result demand for trade spaces continues to grow every year. 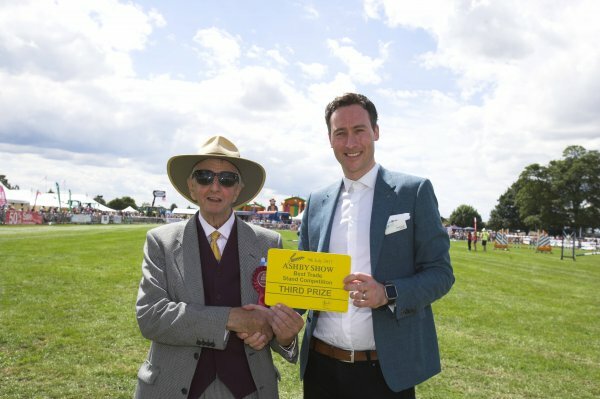 Over 200 traders ranging from agricultural suppliers and car dealerships to the finest food producers and clothing retailers came along last year. Please get your application in as soon as possible as the 2018 Show sold out of trade space. 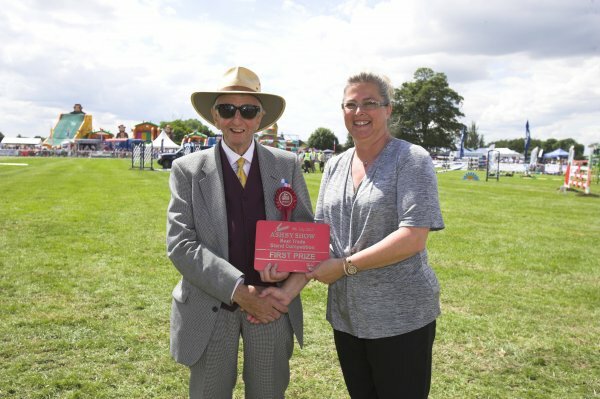 Ashby Show always hosts one of the largest selections of exhibitors, offering everything from agricultural machinery through to clothing, footwear, garden equipment, jewellery and much much more. 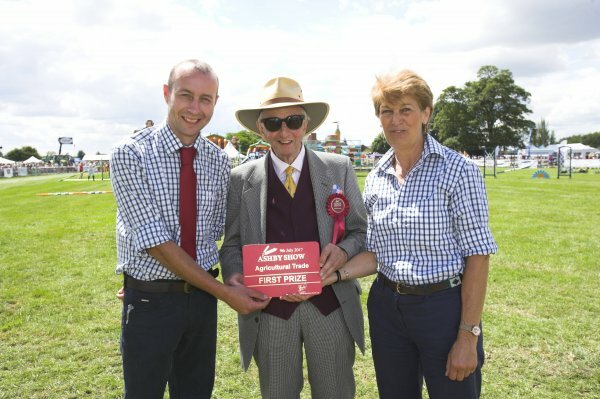 Ashby Show is a great day out for all the family and around 15,000 visitors come back year after year. It is therefore an extremely good market place for the promotion and sale of a wide variety of goods and we can accommodate anyone from large organisations to small individual businesses. Plots are available throughout the Showground. Our packages range from an outside stand of 3m frontage x 6m depth upwards to stands 24m frontage x 12m depth or if you prefer a position inside we have Craft, Shopping or British Farm Produce Marquees. 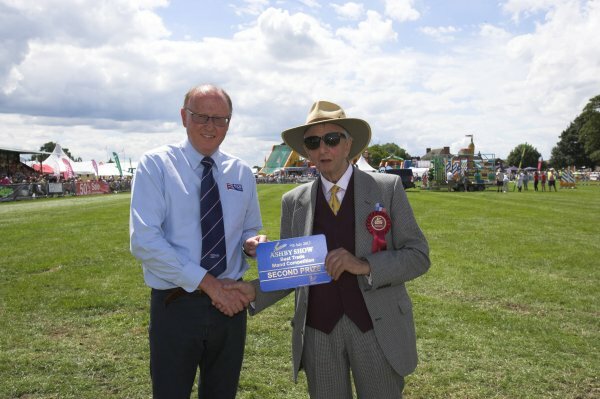 Exhibiting at the Show is at the discretion of Ashby Show Society Committee and confirmation of acceptance of your booking will be forwarded to you within 2 weeks. Stands may be set up from the Wednesday prior to the show, at your own risk. We ask exhibitors to have their stands completed by 08.00 on Show day and not dismantle before 17.30. No responsibility for damages, breakages, accidents or losses will be accepted by the Organisers or the Ashby Agricultural Society Members. It is therefore advised that all exhibitors take out insurance cover for such eventualities. The Shopping Marquee is growing in popularity and full of a varied and interesting high quality range of exhibits. Some of the products on display are handbags, jewellery, fashion clothing and cookware. The marquee is situated next to the Craft Marquee and units cost £63. Double units are accepted. Units are 8ft long and include a table 6ft long x 2ft, 2 chairs. Stands may be set up on Saturday prior to the show, at your own risk, but must have been completed by 08.00 on Show day. Exhibitors are asked not to dismantle their stands before 17.30. No responsibility for damages, breakages, accidents or losses will be accepted by the Organisers or the Ashby Agricultural Society Members. It is therefore advised that all exhibitors take out insurance cover for such eventualities. The Craft Marquee continues to grow in popularity both with the public and the exhibitors who come back year after year to show off their wares. The exhibitors have a very varied array of products on display ranging from paintings, patchwork, jewellery, wood turnings to handmade cards and handbags. This marquee is only for people who make their own products and is situated next to the Shopping Marquee. All exhibitors will be mentioned in the Show Guide. Units are 8ft long and include a table 6ft long x 2ft and 2 chairs and cost £63. Come to the Food Hall to taste and buy the very best in local food. Situated near to the Village Green Area and Public Bar, this is one of the most popular places on the show ground and is a showcase for the best of British produce. Have a wander round or sit and savour your purchases! The Ashby Show is proud to support the small local producers, all of whom grow and make delicious products. Many of the producers are local farmers and this gives us the opportunity to celebrate the connection between the land around us, the food that we eat and the great farming tradition of this area. Amongst some of the delicious foodstuffs on offer will be cheese, jams, chutneys, pickles, savoury & fruit pies, fruit & vegetables, cakes, sausage rolls, fudge, wines, honey, organic meats, crisps and yoghurts. For more information on having a stand in the BFP Marquee please phone Jane Harding on 01283 229225 or download the application form here. If you have any queries or require further information, please contact the Show Office on 01283 229225.